We have been waiting for this since late 2014 when it was announced that Jamie S. Rich, the new Vertigo editor, would be revamping and revitalizing the imprint. Traditionally, Vertigo is what has brought us into the world of challenging and artistic comics, a mantel that has almost been entirely stolen from them by Image during their ‘comics renaissance.’ Recent years have seen a desperate need for a bigger flood of creator-owned titles that could define the brand. They have lost popular books like Fables and Fairest, and only have a few other regulars like American Vampire and their wonderful anthology Vertigo Quarterly. This announcement came on the Vertigo panel at the San Diego Comic Con, which hosted Darwyn Cooke, Gilbert Hernandez, Michael Allred, Holly Black, Lauren Beukes and Gail Simone, as well as current Vertigo creators Scott Snyder (American Vampire: Second Cycle), Rafael Albuquerque (American Vampire: Second Cycle) and Lee Bermejo (Suiciders). We also got a great video farewell from Fables’ Bill Willingham, who is releasing the massive 160pg final issue of Fables this month. Below we first have a gallery of all of the first issue covers, and the interior and promo art that has been released. Below that is a complete list of all twelve of the series and their creative team and release month. There are a few interesting releases here. The most obvious of these is Darwyn Cook teaming up with Glibert Hernandez of the indie staple Love and Rockets. Hernandez has done a lot of Original Graphic Novels and anthology stories for Veritog, but this is a big move for him from Fantagraphics to a DC imprint. The art from Darwyn Cook looks amazing, and Twilight Children should be a stand out. 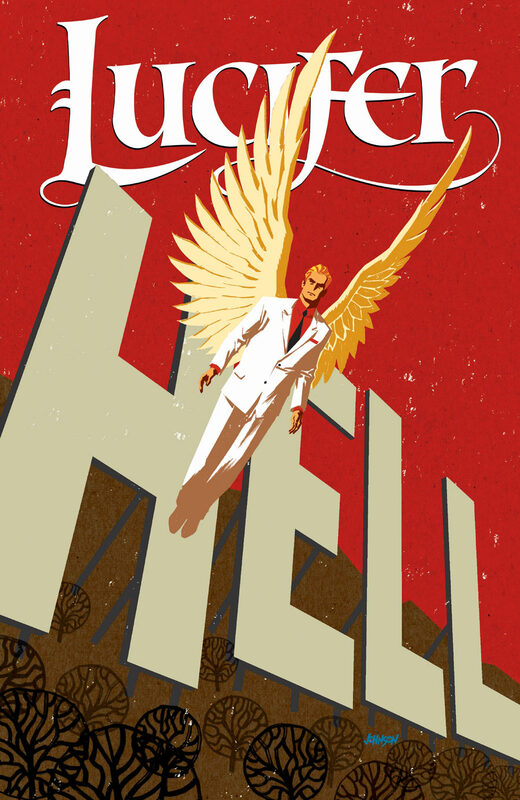 The next is seeing Lucifer returns, which had an epic run coming out of Sandman. This is clearly a reboot of the original character from his design and the design of the text associated with it, but we shouldn’t cheer just yet since it is clearly done to promote that terrible cop procedural that will coming out soon. Other than that, we will have to wait ot see more. Having Peter Milligan and Gail Simone back to write regular series is great, and this is exactly the reboot we wanted!